The Deep South just got its first restaurant-distillery and its located right here in New Orleans. Lula opened on February 13 and it joins a growing batch of trendy hybrids around the country. It’s a restaurant with a menu full of Southern dishes, a stocked full bar (with three cocktails on tap), spirits made in-house, and a view of the still actively making more. Lula is a collaboration between chef Jess Bourgeois and his friend and business partner Bear Caffery. Caffrey, a practicing Baton Rouge ER doctor, is the distiller who learned to distill while living in New Zealand, where home distilling is legal. For the past few years, the two have pursued specialized training in micro-distilling, eventually turning a shared interest into a new and unique business venture. 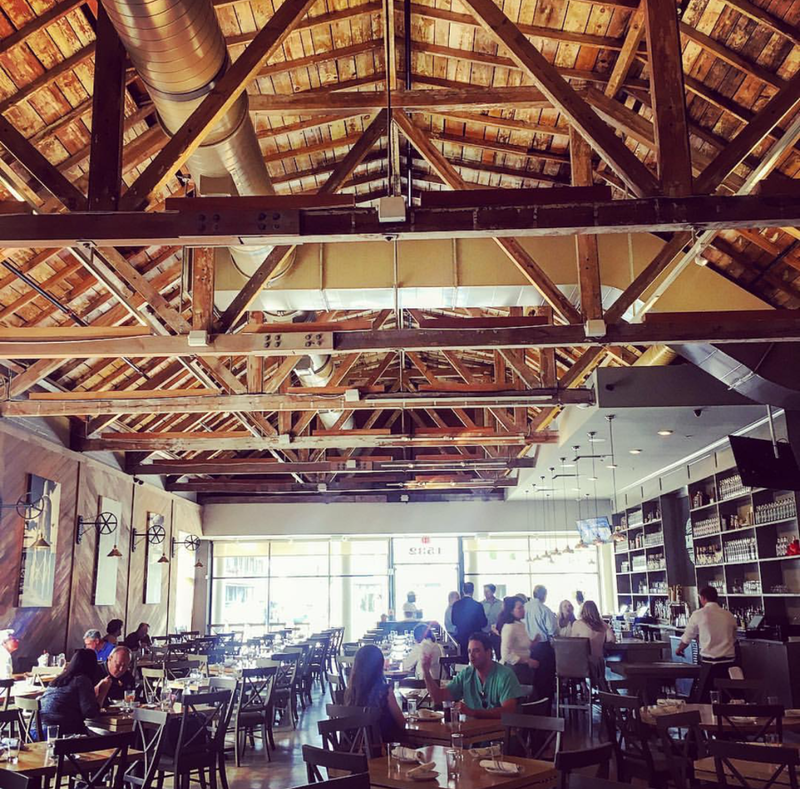 Once a Halpern's Furniture, the St. Charles storefront has been thoroughly redesigned with high open rafters that show off the building’s vintage character. With salvaged wood and industrial fixtures, the space feels rustic and open. Lula also has patio seating, a serene place to watch the streetcar roll by. 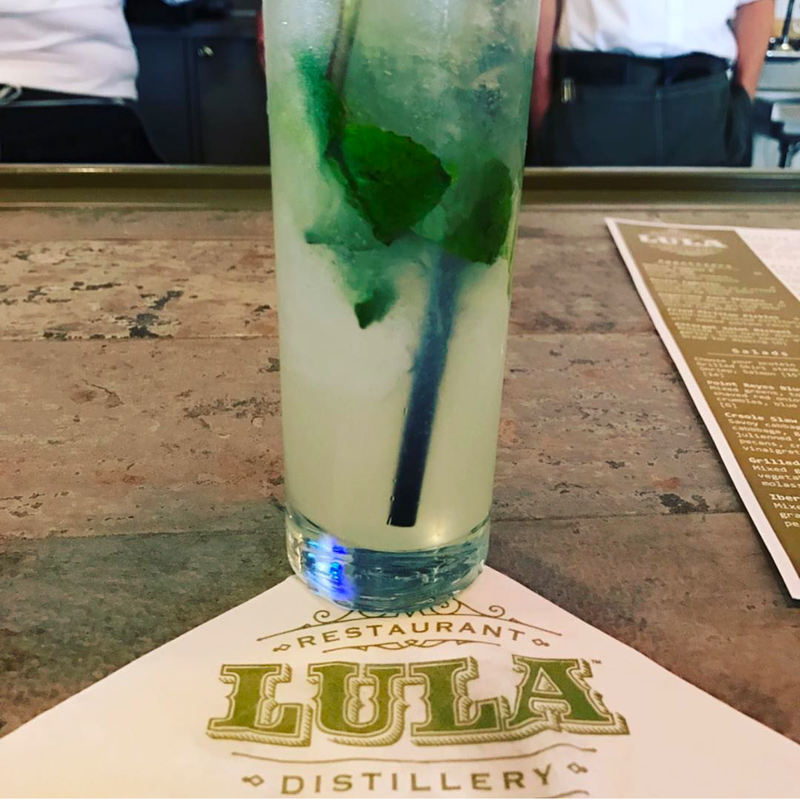 The long bar is the perfect spot for a solo traveler to sip on Lula's vodka, rum, and gin all made with Louisiana cane sugar. Lula is named for Lula Sugar Factory, a mill in Belle Rose near Bourgeois’ hometown of Donaldsonville. Lula seeks to combine the heritage of Louisiana cane country with new trends in craft spirits, producing their gin, vodka and rum from local cane sugar. The sill is located in the back of the restaurant behind a glass wall and allows visitors to enjoy every step of the spirit making process. The upscale casual menu is a mix of contemporary and rustic Louisiana fares. There's pecan-smoked pompano and fried mirliton pickles, a Gulf fish club sandwich and a burger, and braised rabbit over white beans and boudin-stuffed quail, glazed with Lula’s own rum. The kitchen also turns out seasonal boiled seafood, with a traditional seasoning mix, a Vietnamese-style ginger/lemongrass boil and a hot garlic version. Lula features a cocktail menu that showcases their spirits. Bartenders pour batched cocktails from special taps — like a cucumber vodka Collins, a turmeric gin sour, and a classic daiquiri. They also serve batched drinks by the bottle, like a negroni, which allows for the spirits to be chilled at a precise temperature. Lula is a unique hybrid of restaurant and distillery. On the spirit-making side it represents a new approach to the burgeoning field of micro-distilling. And as a restaurant it brings a unique and unsullied angle to the New Orleans dining scene which is dynamic and competitive. Lula is located at 1532 St. Charles Avenue and is open Sunday-Tuesday from 11:00 a.m. to 10:00 p.m. and Wednesday-Saturday 11:00 a.m. to 11:00 p.m. They offer a daily happy hour from 4:00 pm to 6:00 pm which features $6 cocktails. Follow us on Facebook, Twitter, and Instagram for more affordable luxury ideas, products and services geared towards the solo traveler!